PHILADELPHIA (AP) — Convicted Philadelphia police killer and death-row activist Mumia Abu-Jamal could get a new sentencing hearing in the next six months. 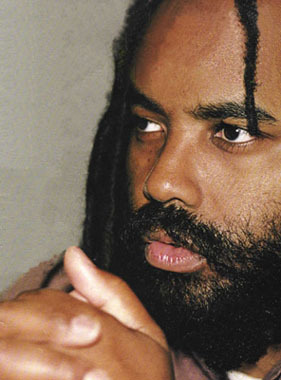 A U.S. appeals court is ordering the new hearing after finding for a second time that the death-penalty instructions given to the jury at Abu-Jamal's 1982 trial were confusing. The 3rd U.S. Circuit Court of Appeals says prosecutors must conduct a new hearing or agree to a life sentence. District Attorney Seth Williams says he will consider another appeal to the U.S. Supreme Court. The 58-year-old former Black Panther's first-degree murder conviction still stands in the fatal shooting of white officer Daniel Faulkner.